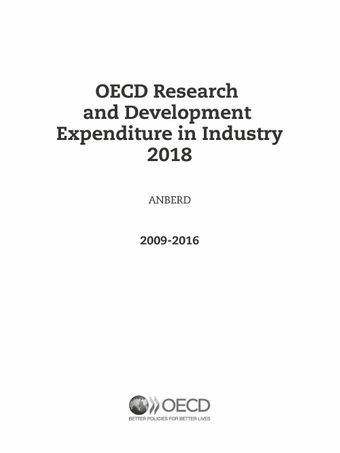 This 2018 edition of OECD Research and Development Expenditure in Industry provides statistical data on R&D expenditure broken down by industrial and service sectors. Data are presented in current and constant USD PPP values. Coverage is provided for 31 OECD countries and four non-member economies. The coverage of ANBERD includes multiple sectors, with extended coverage of service sectors according to ISIC Revision 4 classification. This publication is a unique source of detailed internationally-comparable business R&D data, making it an invaluable tool for economic research and analysis.